U.S. House Speaker Nancy Pelosi, flanked by the Wyoming congressional delegation, Sens. Michael Enzi and John Barrasso, and Wyoming Gov. Dave Freudenthal, lit the Capitol Christmas Tree Tuesday evening. The 67-foot spruce came from Wyoming and is decorated with 5,000 ornaments made by Wyoming schoolchildren. A child from Wyoming took the stage with Pelosi to help light the tree. U.S. Navy Band Washington, D.C., Ceremonial Brass and a children's choir from Wyoming provided music for the event. 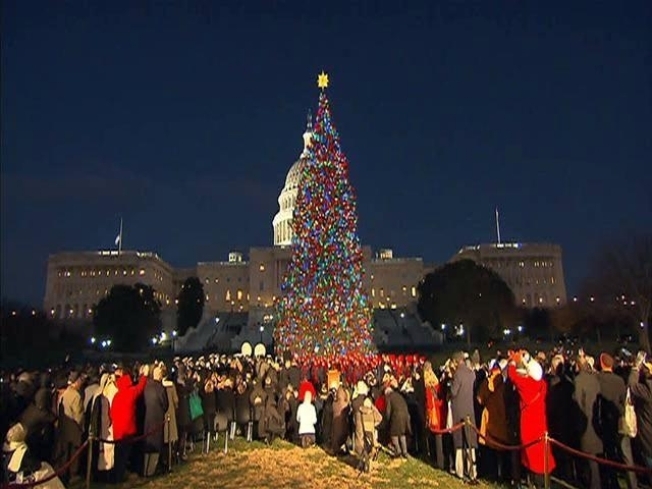 The tree will be on the west lawn of the Capitol through Jan. 1. The tree will be lit every day from dusk until 11 p.m. The Capitol Christmas Tree lighting tradition dates to 1964.